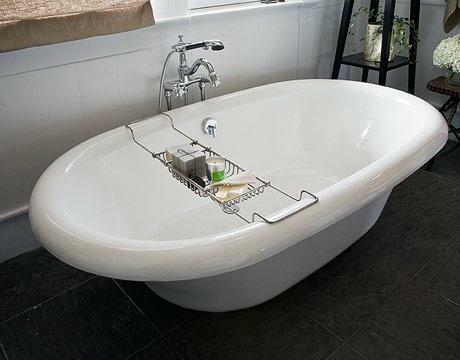 Rough luxe is the design word of the moment, and this bathroom (via CountryLiving.com) illustrates some of the principles. 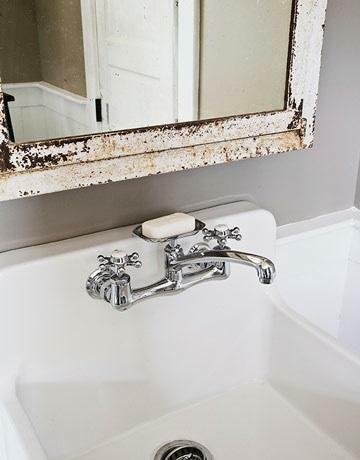 We like the way the owners mixed glam touches (gold leaf trim) with vintage and utilitarian elements (a utility sink, for example). 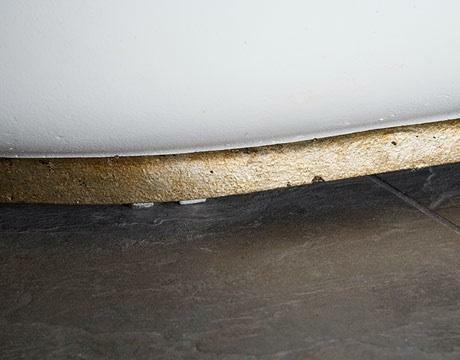 A strip of gilding at the base of the tub adds a touch of glamour; a Sampler Gilding Kit (covers approximately 10 square feet) is available at Caromalcolours.com for $40. 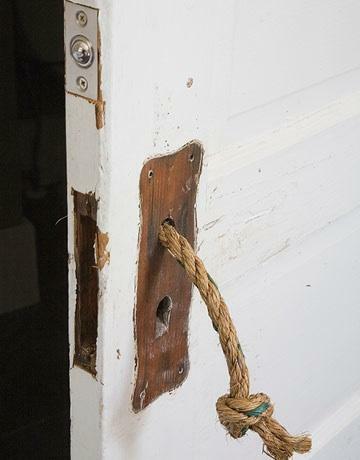 A length of knotted rope serves as a door handle. 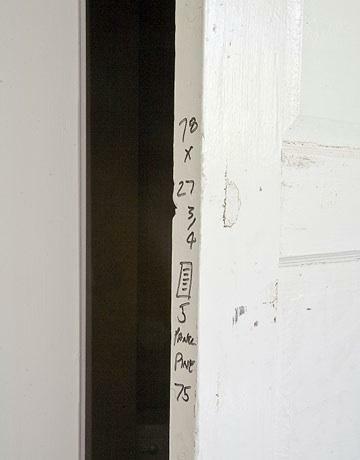 The owners left the markings from the salvage yard on the vintage door. 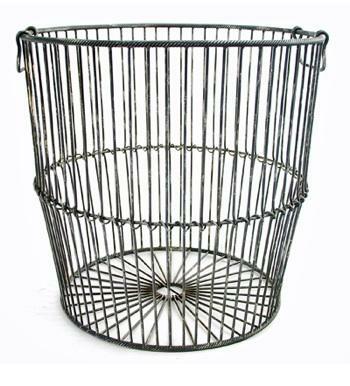 Peddler’s Wire Basket; $98 at Uptown Country Home. 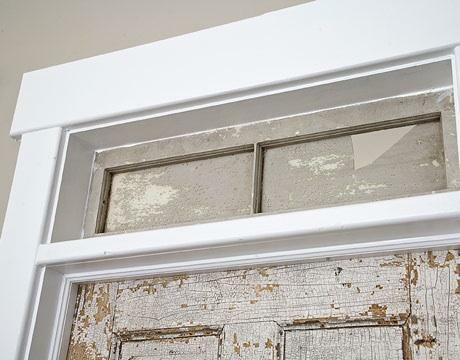 Rustic hooks fashioned in Vermont from tree branches; hand sanded and finished with predrilled mounting holes (screws included). $40 each at Live Wire Farm. 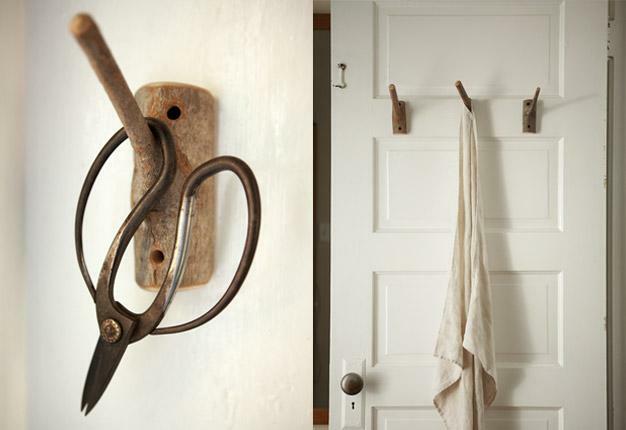 Shaker Workshop’s Broom Hooks come with the original bark left on. Made in Vermont; six inches high; $17.50 for a pack of three at Shaker Workshops. 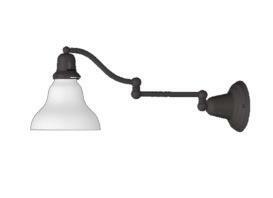 Bend Classic Swing-Arm Sconce; $253 as shown in oil-rubbed bronze with white shade at Rejuvenation. 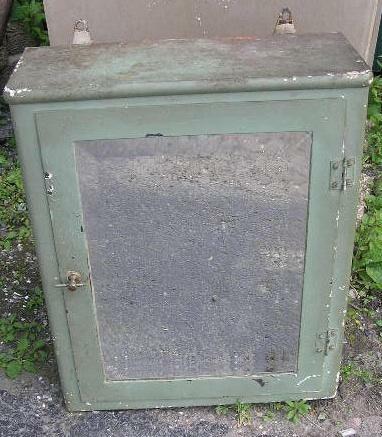 Vintage medicine cabinets can be found at architectural salvage shops such as Historic House Parts, where we found this Vintage Green Steel Cabinet for $85. 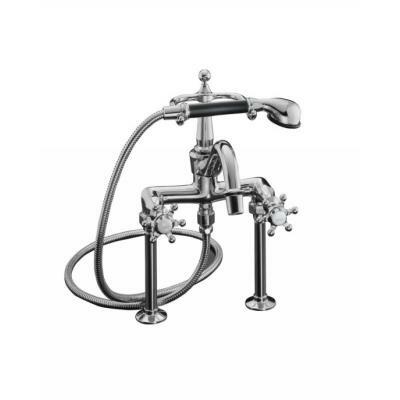 Kohler’s Gilford Apron Front Wall-Mount Sink is $1,097 at eFaucets. Kohler Antique Wall-Mount Kitchen Faucet with six-prong handles and an eight-inch spout in chrome; $482 at Plumbers Surplus. 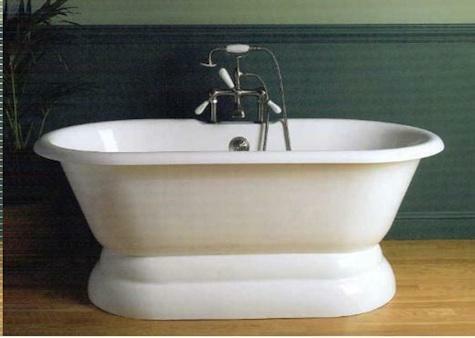 Sunrise Cast Iron Specialty Double-Ended Pedestal Bath with vitreous enamel porcelain glaze on the interior; made in Portugal. 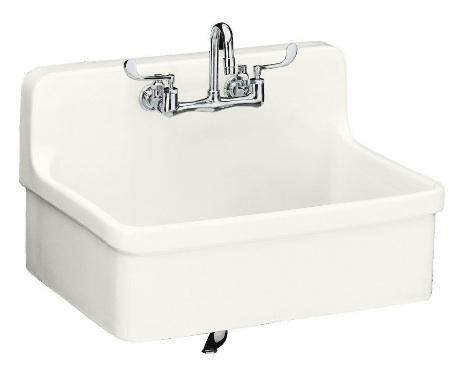 $1,999.95 for the 61-inch model at Vintagetub.com. 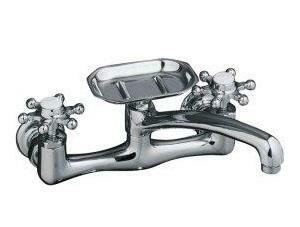 Kohler Antique Collection Bath Faucet with Handshower (model K-110-3-cp) with six-prong handles; $1,002 at eFaucets. 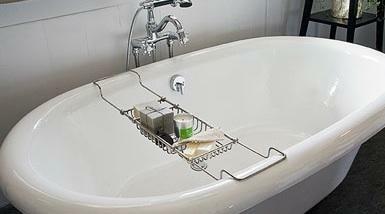 Strom Plumbing Chrome Clawfoot Bathtub Caddy; $107.80 at Vintage Tub and Bath.